I am currently in preparation for complete madness here in the lab. It’s March, and I have so much to do! So many samples to run, and so many basketball games to watch. Lucky for me, the two mesh quite well. 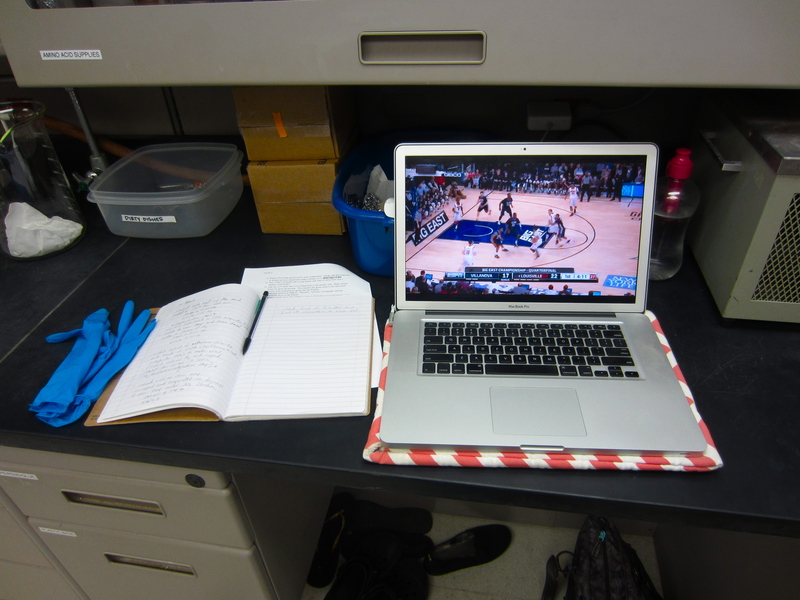 Necessary lab equipment: gloves, lab notebook, water bottle, laptop, and live stream of college basketball championships. 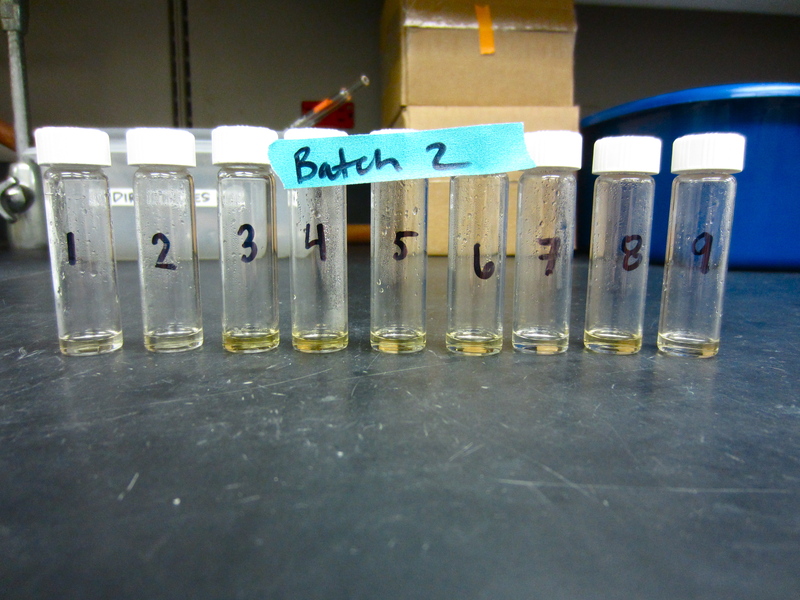 Isolated amino acids of the second batch of ETP olive ridley skin samples, prepped and ready for analysis. But this year, March isn’t just jam-packed with entertaining basketball games; I have LOTS of work to do while I’m at UH. Last week, I finished prepping a second batch of nine olive ridley skin samples for compound-specific analysis of amino acids. Voilà! 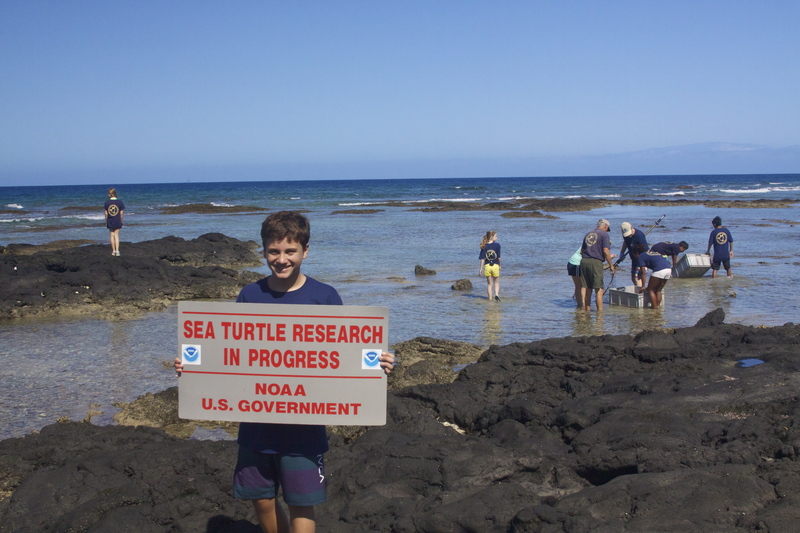 March 13, 2013 was a great day for in-water honu (Hawaiian green sea turtle) monitoring in Kona, Hawaii. Last Wednesday, I ventured out of the lab and traveled to the Big Island to assist Dr. George Balazs and his team from the National Marine Fisheries Service and the Hawaii Preparatory Academy (HPA) with their in-water green sea turtle monitoring. It was really fun to visit another island and have the opportunity to work with the HPA students for the day. My friend and colleague from Oregon State University, Susie Hilber, was in town working with Dr. Balazs on a Hawaiian green sea turtle population dynamics project. I have asked her to write a guest blog about her work, so stay tuned! 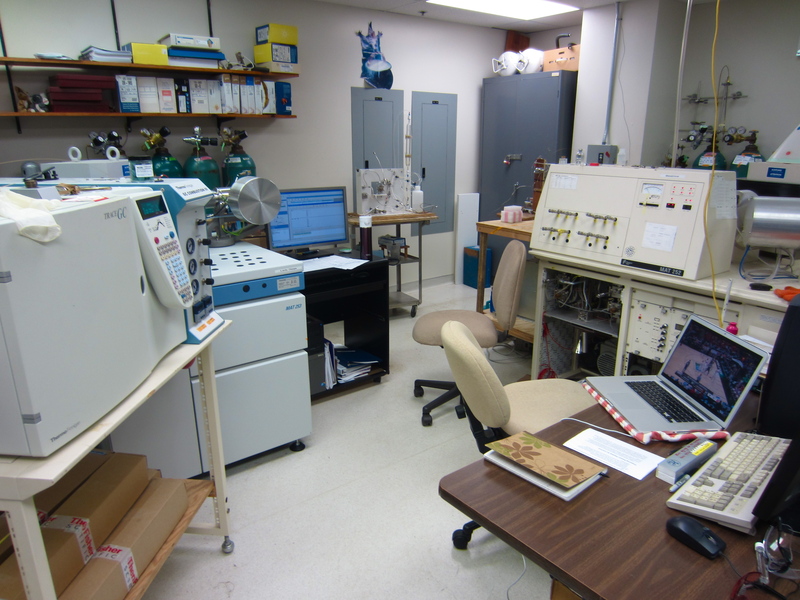 The “Thermo Finnigan Trace GC Combustion III” IRMS (the white box on the far left), is where all the stable isotope analysis magic happens! This week, I’m taking a break from sample prepping (I have one more batch to prep) and I’m beginning to run my samples from Batch 1 on the isotope-ratio mass spectrometer (IRMS). In the picture to the right, the IRMS is the white box to the far left. From now on, I’ll be spending my time carefully injecting my samples into this instrument, and talking to it using the desktop computer pictured in the middle. In my next blog, after I’ve spent a lot of quality time with these machines, I’ll explain a bit about what’s behind the curtain and describe the magic that happens inside the IRMS, and the type of data it generates. Note: basketball is still streaming on the laptop. 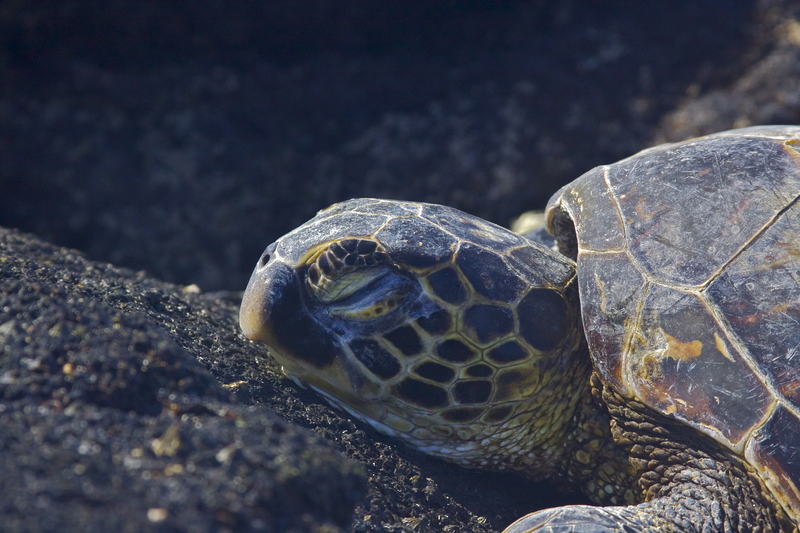 A juvenile green sea turtle basking on the coast of Kona, Hawaii. Way to mix work with play Lindsey….and Go Gators!